such as Trimmers from Brite and many other similar brands. Many men have to shave on a regular daily basis. 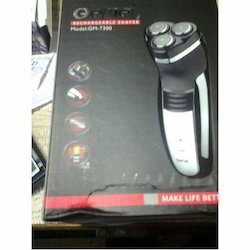 If you are one of those men, use this rechargeable shaver from Gemei for a quick and close shave. 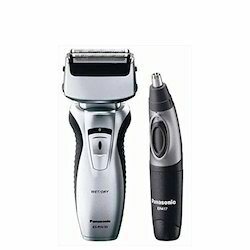 Comprehending the varying demands and requisites of our customers, we have been exquisitely instrumental in presenting a comprehensive consignment of Dual Blade Rechargeable Shaver. Owing to their operational fluency, longer life, effectiveness and low maintenance, these presented products are highly recommended and cherished. Georgia Beauty Tools & Appliances India Pvt. Ltd.
- a shaver that is equally tough on long and short hair yet smooth on the skin, the braun series 3 320s-4 foil shaver is designed for the uncompromising men. all types of hair shavers are available.